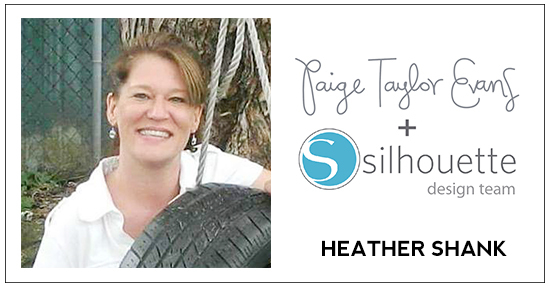 The talented Heather Shank is back today with a new cute, sweet, pretty, and fun layout! Hi ladies! 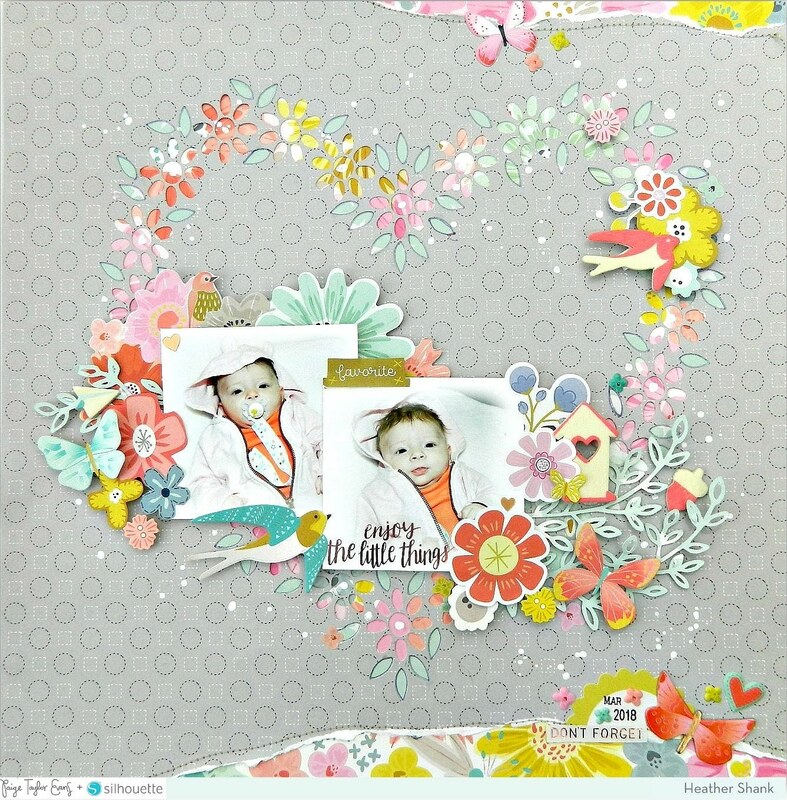 For this layout I used the Flower Heart cut file and the Turn the Page collection. I chose Paper 07 for my background then I cut out the flower heart with my Silhouette Cameo and backed it with the pretty floral Paper 02. I placed my photos on the bottom of the heart and used a foiled sticker from the Sticker Book for my title "enjoy the little things. I embellished with lots of fussy cut flowers from Paper 15, flowers from the Ephemera Die Cuts, and also flowers from the 30-page Paige Evans #StickerBook. I also tucked in some Wood Veneer at each flower cluster along with some butterfly Chipboard Stickers and I love the way it turned out! Just when I thought I was finished I decided to add some more color to the top and bottom of the layout by tearing off some of the background paper and adding more Paper 02 with machine stitching for texture. I finished off by placing a Journaling Spot with the date and Puffy Stickers. I hope you enjoy my layout! This is gorgeous! LOVING those sweet photos and loveeeeeee the heart!!!!! !